Maman loves jewelry, but nothing too ostentatious. Some sparkle, but not too much. 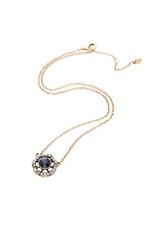 If you're a demure gal who loves to shine, but also keeps her secrets to a whisper, you'll love this bit of glam. 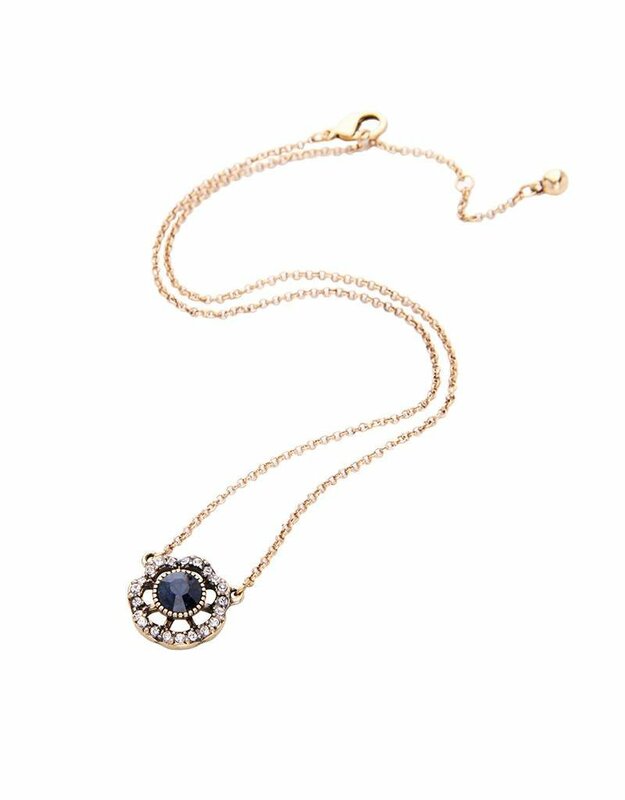 A blue stone is surrounded by clear rhinestones, all hanging on a goldtone zinc alloy chain. A lobster clasp keeps it secure, the 3" extender gives you a bit of extra space.